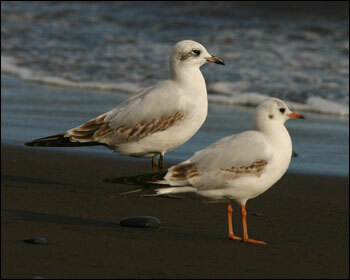 Black-headed Gulls in different ages at the northern beach in Funchal Harbour on 19th January 2006. Photos: Dan Mangsbo, Sweden. 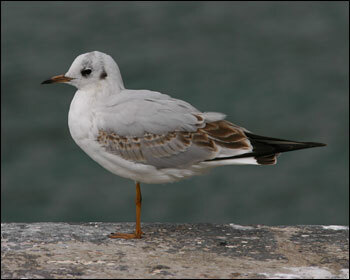 A first winter Black-headed (right) along with a first winter Mediterranean Gull in Funchal Harbour on 19th January 2006. 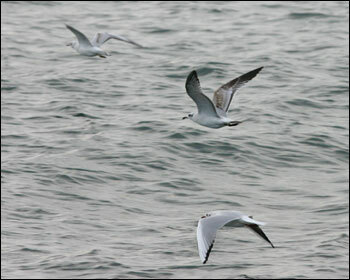 A first winter seen at top left (a first winter Mediterranean Gull in middle) and an adult Black-headed at bottom. Funchal Harbour on 19th January 2006. Photo: Dan Mangsbo, Sweden. 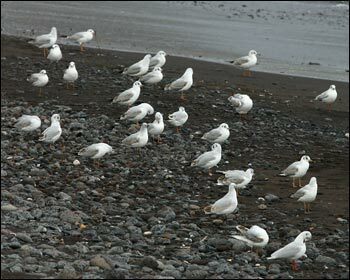 A first winter in Funchal Harbour on 18th January 2006.